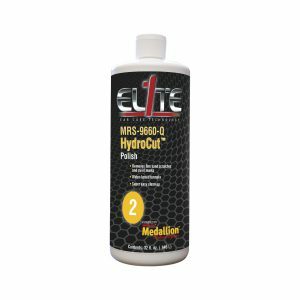 HydroCut Polish is a water-based polish designed to perform both cutting and polishing features and can be used with a wool or cutting foam pad. HydroCut Polish will remove 1500 grit and finer sand scratches while also begin to polish the surface of the vehicle. This product stays wet longer and works harder to bring out the true vibrance of the clearcoat.